Your guests will enjoy a beautiful natural setting and a spectacular view of the San Francisco Peaks as the backdrop when you schedule your wedding at The Arboretum. Our diverse setting can accommodate groups of up to 250 people. From ceremonies, receptions and rehearsal dinners we can accommodate your whole party and everything needed to make your day incredible. See our Weddings page for more details about holding a ceremony or reception at the Arboretum. The Arboretum will offer your guests the beauty and tranquility of being surrounded by the Coconino National Forest, while still offering modern amenities for comfort. Our diverse settings can accommodate groups of up to 250 people. 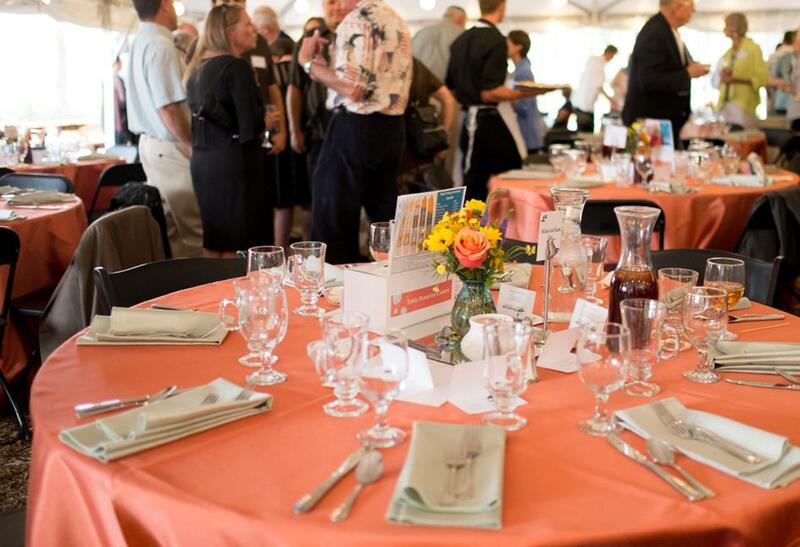 Fundraisers, reunions and honorary dinners are just a few of the banquets we can hold at the Arboretum. Contact info@thearb.org for more information on scheduling a banquet or party at the Arboretum. The Walter Reichardt House is the historic home of Arboretum founder Frances McAllister. Built in the late 1960’s, it was renovated in 2007, and can now host groups of up to 60 people. The Walter Reichardt House holds the Visitor Center and administrative offices, as well as a Meeting Room, Dining Room, Patio, and Kitchen. The Meeting and Dining rooms have fireplaces, a great view of the gardens and the San Francisco Peaks, and open onto an attractive flagstone Patio. This exceptional venue is perfect for scheduling business seminars, team building events, educational retreats or any other meeting you may need. Availability: 8 AM – 5 PM. Groups may use the facility beyond business hours for an additional fee. See our Rental Packages (PDF link) for more details. Tours: Groups can schedule a guided tour of gardens for a fee. Tours last approximately 45 minutes. 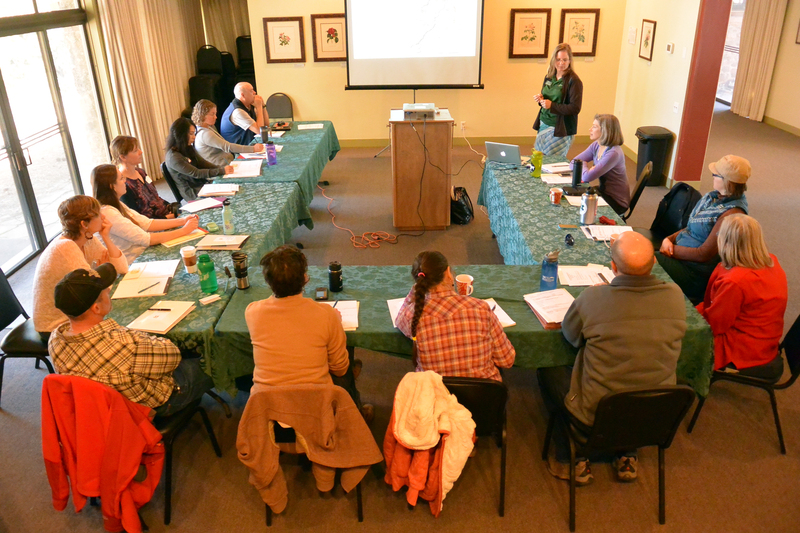 Contact info@thearb.org for more information on scheduling a meeting or retreat at the Arboretum.